Wilmington is known for offering visitors a unique mix of rich history, delicious cuisine, and stunning views. One of the best ways for visitors to enjoy all those things is to take a ride on the Wilmington & Western Railroad. 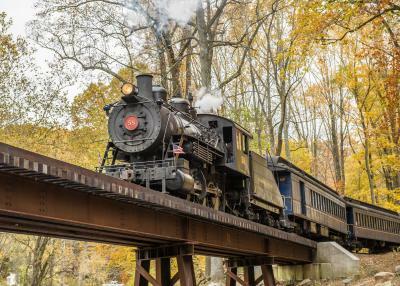 This historic train service has been rolling through the Brandywine Valley on and off for 150 years now, and today it offers some of the most enjoyable experiences you will find in our community. The railroad originally started as a way to move goods between the port of Wilmington and the mills located along Red Clay Creek all the way back in 1867. During the 1880s, the line became popular among vacationers looking to get away to a new resort that had opened at Brandywine Springs. Then, during the 1960s, the railroad returned to prominence as a fun weekend adventure for locals and visitors alike. With 150 years of history, the fact that the Wilmington & Western Railroad still exists is impressive enough. But when you look at all of the exciting adventures they offer today, you can&apos;t help but get excited about booking your next ticket. Let&apos;s check out some of the fun events they have planned for this fall! 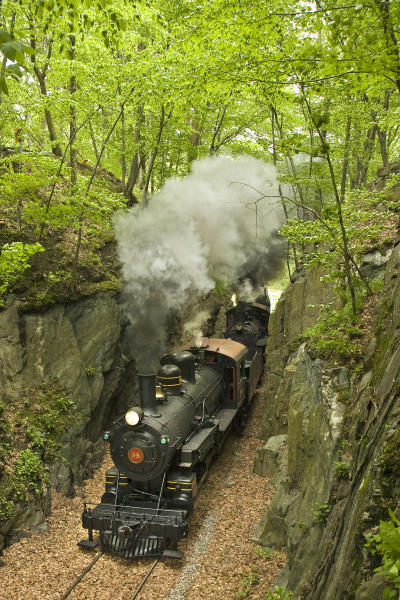 The Brandywine Valley is known for having some of the most beautiful autumn leaves in the entire country, so it only makes sense that the Wilmington & Western Railroad would host regular trips through the area during one of the most stunning times of the year. On weekends and select weekdays, patrons can choose to experience the fall leaves on the one-and-a-half-hour trip to the Mt. Cuba Picnic Grove or the two-and-a-half-hour trip to Hockessin. Both trips are scheduled to run throughout the month of October and even into early November. If you can free up a Thursday evening this fall, the Wilmington & Western Railroad is planning dinner rides on October 12, November 9, and December 7. These trips start at the Greenbank Station and follow the tracks all the way out to Hockessin, where guests will dine at the Back Burner restaurant before returning to Greenbank. For those who are looking for a more exciting train-based experience, Escape the Train is a brand-new concept for 2017 that is based on the popular escape rooms that are popping up across the country. In this version, your group will find themselves trapped on a train that has been captured by the enemy in a World War II setting. You will have to use your wits to follow clues and solve puzzles to escape. Hayrides are extremely popular this time of year, and the Wilmington & Western Railroad has put together one of the most unique versions of this classic fall experience that you will find anywhere. They have converted an old flatbed railroad car to hold passengers…along with plenty of bales of hay! The Hayride Express is a Friday night adventure that leaves the station at 7:30 pm for a one-hour round trip ride through the Red Clay Valley. Trips are scheduled for select Friday nights throughout the fall starting on September 8 and 29, continuing October 20 and 27, and finishing up with the last one on November 10. On Sunday, October 29, the Wilmington & Western Railroad will be getting into the Halloween spirit with a one-hour train ride costume party. This festive experience is perfect for adults and children, and you can expect to be accompanied by at least one or two local witches. The railroad also gets into the Christmas spirit with the Holiday Lights Express, which is a 1929 Pennsylvania Railroad "Doodlebug" railcar that is completely covered with Christmas lights. From December 8 through 23 and then from December 26 to 30 you can take a 45-minute ride on the Holiday Lights Express with trips leaving every hour on the hour from 5 pm to 9 pm. Whether you are interested in the history of the railroad, looking to appreciate the beauty of the Brandywine Valley, or you are just interested in having a unique dinner experience, there is a special trip for just about everyone on the Wilmington & Western Railroad. Plan your trip today at wwrr.com. Tickets sell fast, make sure you reserve in advance!